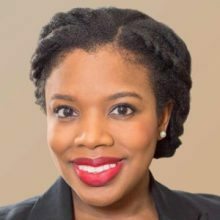 Lakeya Cherry, MSSW is the Chief Executive Officer of The Network for Social Work Management, an international membership organization dedicated to strengthening social work leadership in health and human services. Under her leadership, the Network has grown globally and introduced new, innovative programming that meets the needs of social work and human services leaders everywhere. At her previous position with 2U, Inc., a technology company partnering with prestigious universities to place degree programs online, Lakeya was a Senior Regional Field Manager for the University of Southern California School of Social Work’s online Master of Social Work program. Cherry was in charge of spearheading national partnerships and managing field education agency development initiatives. She has also held a variety of direct service positions in the nonprofit sector and volunteers during her free time. Lakeya currently serves on the boards of Community Health Improvement Partners (CHIP) and the Congressional Research Institute for Social Work and Policy (CRISP). She earned her Master of Science in Social Work from Columbia University and her Bachelor of Arts in Psychology and Legal Studies from the University of California at Santa Cruz. Lakeya also holds a Certificate in Nonprofit Executive Leadership from the National Human Services Assembly in collaboration with The Fund Raising School at the Lilly Family School of Philanthropy at Indiana University, the Executive Education Program at the School of Public and Environmental Affairs at Indiana University, and ASU Lodestar Center for Philanthropy and Nonprofit Innovation. Lakeya is currently a Doctoral candidate at the USC Suzanne Dworak-Peck School of Social Work with an expected graduation date of May 2020. Idalia Gaitán is the Administrative Coordinator for The Network for Social Work Management. Idalia Gaitán, BA is the Administrative Coordinator for the Network for Social Work Management. Idalia majored in social work and graduated with her Bachelor’s Degree from Whittier College. In her previous role, Idalia served as a Prevention Specialist at SPIRITT Family Services where she played an active role in the Drug Free 24/7 Campaign. Additionally, she has worked as a Group Facilitator for young children and adolescents. Idalia was the very first in her family to graduate from high school and the first to go to college. Her experience as a single teen mother is what has inspired her to pursue a career in social work. The Network for Social Work Management is governed by a Board of Directors from a diverse spectrum of public and private organizations, academic institutions and independent practice. Every effort is made to seek board members who represent the range and diversity of our field throughout the United States and beyond. Their mission is to strengthen social work leadership in health and human services. Dr. Tropman is a Professor at the University of Michigan, School of Social Work and School of Business, Ann Arbor, MI. John graduated in sociology from Oberlin College, got an MA degree in Social Service Administration from The University of Chicago, and the earned his Ph.D. in Social Work and Sociology from University of Michigan. John teaches at the University of Michigan in the School of Social Work, and the Ross School of Business at the University of Michigan. In Social Work his courses focus on executive leadership and policy development, while in the School of Business they focus on Organizational Design, Organizational Culture, Rewards Systems, and Organizational Change. He also teaches in the Executive Education Programs at Michigan and Carnegie Mellon Universities. His research interests revolve around leadership, management and the development of high performing organizations. He is particularly interested in organizational culture and values, and in effective decision making. He runs several research projects at the Michigan includes the Decision Masters Research Project, the Executive Calamity Project, the CEO Tracker Project, the Catholic Ethic Project, and the “Ill/Compromised Executive Project.” His personal interests include cooking, wines, stamp and coin collecting, fishing, reading, and early music. His current writing includes a book called Executive Calamity which addresses the issues of executives who engage in behavior, often risky behavior, that cause them to lose their jobs and imperil their agencies, firms and families as well. Administratively, John has occupied a number of positions. These include Interim Dean, and Associate Dean, School of Social Work University of Michigan. Head of the Joint Doctoral Program in Social Work and Social Science, Head of the Michigan Society of Fellows, Acting Director of the Institute of Gerontology, and chair of Advisory committees to the Vice President for Academic Affairs, the Vice President for State Relations, and the Committee on the Economic Status of the Faculty. Starting September 1, he will be the Associate Dean for Faculty Affairs of the School of Social Work, University of Michigan. John works with a number of organizations in a consultative capacity, including for profit, nonprofit and governmental entities. He assists them in strategic planning, developing effective decision systems, managing change, and providing executive training. He also works with individual executives assisting them in their own career development. He has organized Executive Management Programs for the United Way of America, Lutheran Social Services of Michigan, the Michigan Athletic Department, Anderson Cancer Center in Houston, the USAF (Wright Patterson AFB) and Alliance1 Services for Families. 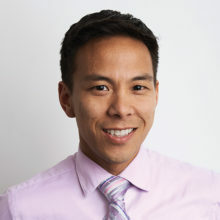 Kelsey Louie, MSW, MBA, is the Chief Executive Officer of Gay Men’s Health Crisis (GMHC), the world’s first, and nation’s leading provider of HIV/AIDS care, prevention services, and advocacy. As CEO, Kelsey oversees all operational, programmatic, and strategic aspects of the organization. Kelsey Louie, MSW, MBA, is the Chief Executive Officer of Gay Men’s Health Crisis (GMHC), the world’s first, and nation’s leading provider of HIV/AIDS care, prevention services, and advocacy. As CEO, Kelsey oversees all operational, programmatic, and strategic aspects of the organization. Each year, GMHC serves 12,000 people living with and affected by HIV/AIDS in New York City, the epidemic’s largest U.S. epicenter. GMHC brings expertise to both HIV-positive and HIV-negative individuals, offering HIV and STI testing, nutrition counseling and hot meals, legal support services, supportive housing, mental health and substance use services, and workforce development. GMHC also advocates for stronger public policies at the local, state and federal level with the goal of ending AIDS as an epidemic in New York State by 2020. Kelsey’s rigorous, data-driven management style, sophisticated evaluation processes, and commitment to staff development have brought concrete, measurable results to the lives of thousands of clients and staff throughout his more than 15 year career in social services, HIV/AIDS prevention and care, behavioral health, addiction services, homelessness, LGBTQ issues, and family and children’s services. At GMHC, Kelsey has created a unique service delivery model, integrating robust evaluation processes and continuous quality improvement programs to build stronger programs, measurable outcomes, efficiencies, and greater quality of service to GMHC clients. In 2016, GMHC was the proud recipient of the 27th Annual Network for Social Work Management (NSWM) award for Organizational Excellence. Kelsey’s past professional titles include Chief Operating Officer, Chief Program Officer, and Senior Vice President of HIV/AIDS Treatment and Support Services at Harlem United Community AIDS Center, Inc., where he worked for seven years overseeing the agency’s $42M dollar budget and managing operations, administration, finance, development, programs, and healthcare services to thousands of clients annually. 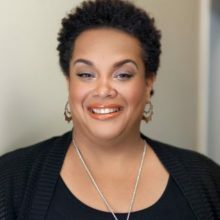 Prior to Harlem United, Kelsey served as Director of Queens Family Support Services at New York Foundling, and Director of Prevention Services at Veritas Therapeutic Community. In 2014, Kelsey was appointed to Governor Andrew Cuomo’s Taskforce to End the AIDS Epidemic in NYS by 2020. He currently serves on the Board of the National Minority AIDS Council (NMAC), and iHealth, a statewide collaborative of community-based organizations united to advocate and negotiate on behalf of HIV Targeted Case Management Programs. Kelsey is a former Board member of the Big Apple Performing Arts, the umbrella organization of both the New York City Gay Men’s Chorus and Youth Pride Chorus. Kelsey received an MSW from New York University in 2001 and an MBA from Columbia University in 2008. He is an adjunct professor at the NYU Silver School of Social Work. Dr. Hatanaka is the Executive Director of Special Service for Groups in Los Angeles, CA. 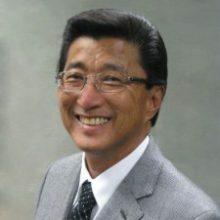 Dr. Hatanaka has been with Special Service for Groups (a private nonprofit human service organization) since 1981 and the Executive Director since 1984. During his administration at SSG, the agency has grown from a staff of less than 60 to over 650. SSG is acclaimed for diverse programming including the development and leadership of collaborative community-based projects and more recently rigorous academic-based research initiatives with renowned universities. SSG is one of the largest mental health providers for the LA County Department of Mental Health. SSG is also the fiscal sponsor for the Network. He is currently an Adjunct Associate Professor at USC’s School of Social Work (teaching since 1988) and serves on a number of public and private boards and committees on determining funding priorities and program policies. In particular, he is a leader for many multiethnic initiatives. Dr. Hatanaka received his Doctorate in Social Work in 1982 from the University of California, Los Angeles. He has been in the social work field for 43 years and received the UCLA School of Social Welfare Alumnus of the year award in 2010. He has been a board member for the Network for Social Work Management since 2009. Dr. Bess is CEO of Gary Bess Associates in Paradise, CA. Gary Bess, Ph.D is the owner of Gary Bess Associates (GBA), which provides grant writing, program evaluation and consultation to nonprofit and government agencies (www.garybess.com). GBA specializes in public and private grant writing for the human services, including Federally Qualified Health Center applications. Dr. Bess holds two masters’ degrees in social work and applied sociology from CaseWestern ReserveUniversity and KentStateUniversity respectively, and a doctorate in social work from the University of Southern California (USC). He has taught in graduate schools of social work at UCLA, USC, and at California State University (CSU) in Long Beach and Chico. For several years Dr. Bess directed free medical clinics in southern California, including the South Bay Free Clinic in Manhattan Beach and the Los Angeles Free Clinic, before opening GBA in 1991. 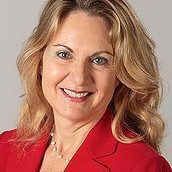 Dr. Shelly Wimpfheimer is the President of Wimpfheimer & Associates, a consulting firm founded in 2000 specializing in the management of both private nonprofit and government social services agencies. She is also the Executive Director of The Community Chest of Englewood, Tenafly and Englewood Cliffs. In the past she has served as the Executive Director of PASE, the Partnership for After School Education and as Vice President of Youth and Family Services of the YMCA of Greater New York. Prior to joining the YMCA Dr. Wimpfheimer served as the Executive Director of the Division of Family Guidance, in Bergen County, New Jersey, for 16 years. She is currently an Adjunct Associate Professor at the Columbia School of Social Work and she is also on the faculty of the Rutgers School of Social Work. 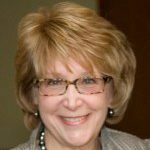 Dr. Wimpfheimer has also served on several nonprofit boards where she has held various leadership positions. A leader in several national and statewide professional organizations, she is a current board member of the Network for Social Work Management and a past president of the Network. 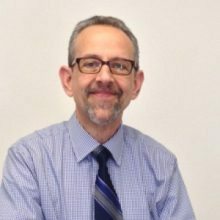 Dr. Wimpfheimer has a DSW from Hunter College School of Social Work, an MSS from Bryn Mawr School of Social Work and Social Research and a BA from Penn State University. She holds an LCSW license in NJ and an LMSW in NY. Mr. Aguirre is the Mental Health Director for San Diego County, Health and Human Services Agency in San Diego, CA. Alfredo Aguirre, LCSW, is currently the Director of Behavioral Health Services of San Diego County and serves in the capacity of Mental Health Director since 1999. He serves on the Board of Directors of the Network of Social Work Management and as a co-chair of the Cultural Competence, Equity, and Social Justice Committee of the California Mental Health Directors Association. He also serves on the Council of Collaboration and Cooperation, a national advisory committee to the Children’s Branch of the Center for Mental Health Services under SAMHSA. Alfredo received his Master’s Degree in Social Welfare in 1978 from the University of California at Berkeley, and he has a special interest in cultural competence development in systems and communities. He authored an article, “Community Mental Health Services in a Managed Care Environment: 10 Key Issues in Promoting Cultural Competence,” published in Promoting Cultural Competence in Children’s Mental Health Services (Mario Hernandez and Mareasa R. Issacs, eds.) in 1999. Ms. Beyer is the Executive Director of the Ecker Center for Mental Health in Elgin, IL. Karen Beyer is the Executive Director of the Ecker Center for Mental Health in Elgin, Illinois. She is a human service advocate with a strong interest in Illinois public policy and government relations. Karen serves on the boards of the Network for Social Work Managers and the National Associaiton of Social Worker’s Legal Defense Fund, as well as the Advisory Board of the Northern Illinois University Department of Public Administration and the Elgin Mental Health Center Governing Board. She is a Rotary International, Cosmopolitan Club, League of Women Voters and City of Elgin Planning and Development Committee member. She has master’s degrees in social work, business administration and public administration. With work experience in mental health, child welfare services, individual, marital and group therapy as well as elder services and divorce mediation, she has worked for government and non-profit organizations and has had a private therapy practice. She is a licensed clinical social worker and a former AAMFT approved supervisor with a certificate in family therapy from Northwestern University’s Family Institute. Karen was the therapist who successfully defended her client’s right to privacy in the 1996 U.S. Supreme Court case Jaffey vs. Redmond and the Village of Hoffman Estates. 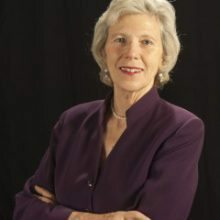 Katharine Briar-Lawson is a national expert on family focused practice and child and family policy. 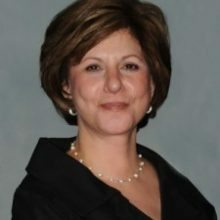 Among her books (co-authored) are Family-Centered Policies & Practices: International Implications (2001), and (co-edited) Innovative Practices with Vulnerable Children and Families (2001), Evaluation Research in Child Welfare (2002), Charting the Impacts of University-Child Welfare Collaboration (2003), Social Work Research (2010), Social Work Practice Research (2010), and Globalization, Social Justice and the Helping Professions (2011), and The Children’s Bureau: Shaping a century of child welfare practices, programs and policies. Until this year she-chaired the Gerontological Task Force for the National Association for Deans and Directors and served as a past president. In addition, she is a Co-PI of the National Child Welfare Workforce Institute. Alan J. Dettlaff was appointed Dean of the Graduate College of Social Work and the inaugural Maconda Brown O’Connor Endowed Dean’s Chair in May 2015. Prior to joining the University of Houston, Dean Dettlaff served on the faculty of the Jane Addams College of Social Work at the University of Illinois at Chicago. He received his bachelor’s degree in social work from TCU, and master’s in social work and PhD from the University of Texas at Arlington. Dean Dettlaff’s work focuses on improving outcomes for children and youth in the child welfare system through examining the factors contributing to racial disparities and improving cultural responsiveness. His research and consultation with state child welfare systems has led to significant policy and practice improvements that have resulted in reductions in the overrepresentation of African American children in these systems. 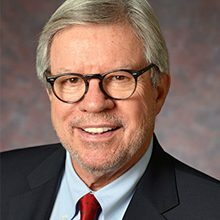 Dean Dettlaff has also conducted groundbreaking research to identify and understand the unique needs of immigrant Latino children and families involved in child welfare. This research resulted in the first national data on the presence of Latino children of immigrants in the child welfare system and their risk exposure. Dean Dettlaff served as Chair of the Council on Social Work Education’s Commission on Education Policy from 2010 to 2016 and led the process of revising the Educational Policy and Accreditation Standards that took effect in 2015. He was named Volunteer of the Year by the Council on Social Work Education in 2014 and was inducted into the 2015 Class of Fellows of the Society for Social Work and Research. Dean Dettlaff is co-editor of Addressing Racial Disproportionality and Disparities in Human Services: Multisystemic Approaches and Immigrant and Refugee Children and Families: Culturally Responsive Practice, published by Columbia University Press. He serves on the editorial boards of Child Welfare, Child Abuse & Neglect, and Journal of Public Child Welfare. 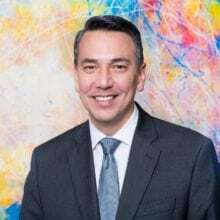 He is a member of the advisory boards of the National Child Welfare Workforce Institute and the Center on Immigration and Child Welfare, and serves on the Board of Directors of the Council on Social Work Education. Locally, he is a member of Mayor Sylvester Turner’s LGBTQ Advisory Board, and serves on the Board of Directors of the Coalition for the Homeless and Mental Health America of Greater Houston. Dean Dettlaff lives in Houston with his husband, former TCU football player, Vince Pryor. Dr. Friedman is a Professor at the School of Social Work, California State University in Bakersfield, CA. 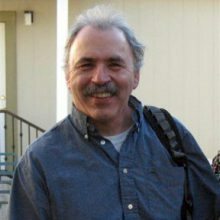 Bruce D. Friedman, PhD, ACSW, CSWM, LCSW, Professor of social work and the co-director of the Center for Social Justice at California State University, Bakersfield. He is the immediate past president of the board of the Network for Social Work Management; the current co-convener of Social Work and Health Inequalities Network (SWHIN), and serves on a number of editorial boards including the Journal of Social Service Research and Social Thought. He is the editor of the special issue of Social Work and Health Inequalities to be published in the International Journal of Public Health. His interests focus on areas of social justice, especially work with TANF and welfare-to-work recipients, homeless people, persons with mental illnesses and substance abuse issues and their families, and health coverage for the uninsured. He primarily does Community-Based Participatory Research (CBPR) in the areas of addressing cultural factors associated with childhood obesity, substance abuse, health inequalities, and alternatives for suspension & expulsion in high school. 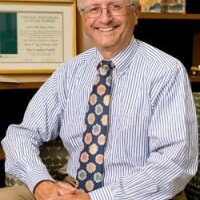 Dr. Friedman is noted for taking complex issues and simplifying them, as noted by some of his books, How to Teach Effectively: A Brief Guide (2013, 2008), The Research Tool Kit: Putting it All Together (2006, 1996), and The Ecological Perspectives Cookbook: Recipes for Social Workers (1999), and his most recent book, Public Health, Social Work and Health Inequalities (2015). He has trained community-based physician educators and other professionals in the art of active learning to enhance the learning environment. 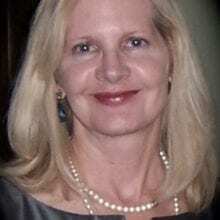 Dr. Karen Hopkins is an Associate Professor at the School of Social Work, University of Maryland, Baltimore. Dr. Karen Hopkins is an Associate Professor and Co-Director of the Human Services Leadership and Management Certificate at the School of Social Work, University of Maryland. She teaches courses in human service management and leadership, performance management, and research. Her research and organizational/program evaluation with nonprofit and public agencies is related to supervision and management practices and outcomes, performance management, workforce development, and organizational learning and capacity building. She is an Co-Editor-in-Chief of the Human Services Organizations: Management, Leadership, and Governance journal. She received a PhD from the University of Chicago, MSW from the University of Pittsburgh, and a BS from the Pennsylvania State University. Dr. Goutham M. Menon is currently Dean & Professor at Loyola University Chicago School of Social Work. 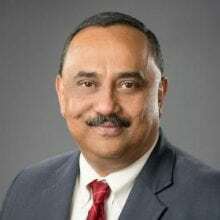 He earned his Ph.D. in Social Work from the University of Illinois at Urbana-Champaign in 1997 and a Master’s degree in Social Work in 1988 from the Madras School of Social Work, Chennai, India. He is currently completing his MBA in Entrepreneurship & Sustainability at the University of Nevada, Reno. He has over 20 years of academic experience at the undergraduate & graduate levels having taught at the University of Texas at Arlington (1996-1998); University of South Carolina (USC) (1998-2005); and at the University of Texas at San Antonio (UTSA) (2006-2013); and Director and Professor at the University of Nevada, Reno, School of Social Work, Division of Health Sciences (2013-2017). He started his social work career as a case worker at the Schizophrenia Research Foundation (India). His area of expertise lies in the utilization of information and communication technologies for human services and for distance education. This is evidenced through his research, classroom experiences, and his service to the community and profession. He has published articles and book chapters and have edited 4 books in this area. His current focus is on moving the profession to stimulate the imagination of our workforce and the public through the dissemination of important findings from Social Work research. He has been actively involved in various leadership roles at the Council on Social Work Education, including serving as an elected member of the Board of Directors from 2009 to 2011. He has serve as Secretary General of the International Consortium for Social Development and as Treasurer and on the board of HUSITA, an international organization promoting technology use for social development and social good. He has served as Chair of the Commission of Conferences and Faculty Development, CSWE and was a member of the Commission on Accreditation and the International Commission. He was also elected to serve as VP for the Nevada Chapter of the National Association of Social Workers (2014-2016). He serves on four editorial boards of academic journals. He is also on the advisory board of the Global Institute of Social Work, based out of Singapore, to produce and curate online training programs for social workers and humanitarian workers who otherwise do not get empirically based practices in the regions they work in. He currently serves as Vice-President and Program Chair of the National Association of Deans & Directors of Social Work Programs. Michalle E. Mor Barak is Director of the Ph.D. Program and Endowed Professor of Social Work and Business in a Global Society at the USC Suzanne Dworak-Peck School of Social Work. Her scholarly publications were among the first to introduce the construct of inclusion to the discourse about global diversity management through ground-breaking research. Two measurement scales that Mor Barak and her research team established and validated — the Mor Barak Inclusion-Exclusion Scale and the Diversity Climate Scale — have been widely used in for-profit and non-profit research and in corporate employee surveys. Her current research projects focus on diversity, work-family balance, social support and corporate social responsibility. They examine the impact of organizational culture on job satisfaction, organizational commitment and retention. Her studies test theoretically based models in both non-profit and for-profit organizations nationally and internationally. Mor Barak’s research demonstrates that diversity management and inclusion, when adopted as key business strategies, represent more than just doing the right and moral thing. They also constitute good business. Diversity management is essential if corporations are to adapt to an increasingly diverse workforce, and it gives them a competitive advantage in recruitment, retention, customer relations, marketing and developing a positive corporate image. All of this, in turn, translates into profits and, more importantly, adds to the common good for employees, their families and their communities. 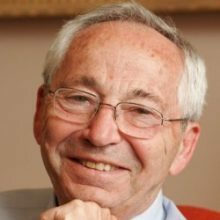 An internationally renowned scholar, Mor Barak has led conferences on diversity at the Rockefeller Foundation’s Bellagio Study and Conference Center in Italy, as well as at the Borchard Foundation’s Chateau de la Bretesche in France. She received numerous awards of distinction, including the Fulbright award, Lady Davis award for international exchange scholars, University of California Regents Award, and Sterling C. Franklin Distinguished Faculty Award for Research and Scholarship. Ranked #4 among the top 100 authors of the most influential articles in the social work discipline over the past decade based on overall and yearly citations, Mor Barak conducted a meta-analysis study (in collaboration with former doctoral students Amy Levin and Jan Nissly) that examined retention in the child welfare and social work workforce. She has conducted several longitudinal studies examining the effects of diversity and quality of supervision on retention among child welfare workers. Mor Barak mentors and works closely with doctoral and master’s students who are active participants in her research projects and co-authors of many of her publications. In recognition of her contributions as a mentor to students, she won the Mellon Award for Excellence in Mentoring. She also provides leadership for the USC School of Social Work’s Social Work and Business in a Global Society concentration, as well as the university’s joint MBA/MSW dual-degree program, with the goal of creating a new breed of boundary-crossing professionals with joint social work and business education, who can initiate programs to help workers, families and communities while improving organizational effectiveness of both non-profit and for-profit organizations. Dawn Shedrick is the Founder and CEO of JenTex Training & Consulting in Central Islip, NY. Dawn Shedrick, LCSW-R, Founder and CEO of JenTex Training & Consulting, helps social workers and human services professionals nurture their careers through heart-centered, socially-relevant training and coaching. JenTex is a professional development company that offers continuing education workshops live and online to individuals and human services organizations. Dawn is a licensed clinical social worker and consultant with 20 years’ experience in all areas of social work practice. She has designed and delivered professional development and community health education workshops for 20 years. Her specializations are in supervision, case management and the mental health needs of people of color, particularly queer people of color. 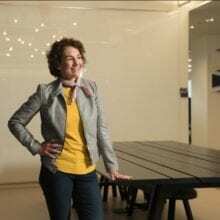 When not “social working”, Dawn enjoys reading, knitting, traveling the world and snuggling with her beloved pooches Ziggy, Kingston and Marley. Dr. Southard joined the Los Angeles County Department of Mental Health as Director in 1998, having previously served in Kern County, California, in a similar capacity for five years. In his current role, Dr. Southard leads the largest public mental health system in the country, serving over 236,000 clients annually in one of the most ethnically diverse counties in the nation. He has overseen a 286% growth in the system from a gross budget of $495+ million in Fiscal Year 1997-98 to $1.9+ billion in Fiscal Year 2012-13. A 2012 Distinguished Alumnus of St. John’s Seminary, Camarillo, California, for his career-long service to people with mental illness and for leading the Los Angeles County public mental health system to recognize and support the spiritual dimensions of individuals as part of their mental health recovery. The 2008 Network for Social Work Management Exemplar Award for outstanding achievement. The National Association of Social Workers (NASW) 2006 Social Worker of the Year– California Chapter. The National Alliance on Mental Illness (NAMI) 2003 Award for Excellence in Community Mental Health Services, in recognition of ongoing efforts to building a comprehensive community care mental health system in Los AngelesCounty. The 2003 Tom Bradley Equal Opportunity award from the Los Angeles Metro Chapter of the American Society of Public Administration. 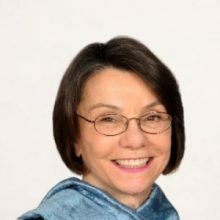 Dr. Southard is an Executive Committee Member of the Governing Board and a past President of the California Mental Health Directors Association. He is the Immediate Past President, Board of Directors, of the California Social Work Education Center. He serves as a Board Member for the California Institute for Mental Health, the PLAN of California and the Network for Social Work Management. A member of the American College of Mental Health Administrators, he serves as a Commissioner on Los Angeles County Children and Families First – First 5 LA Commission. A licensed clinical social worker, Dr. Southard received his master’s degree in social work from University of California, Berkeley, and his doctorate in social work at UCLA. Jessica Wang is Senior Vice President of Placement and Applicant Success at 2U, Inc.
Jessica Wang is the senior vice president of placement and applicant success at 2U, Inc., a global leader in education technology. As a trusted partner and brand steward of great universities, 2U builds, delivers, and supports online graduate programs and certificates for working adults at scale. 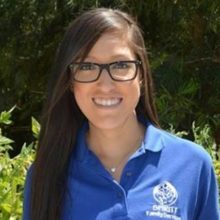 Jessica formulates the operations and logistics that allow thousands of students each year to accumulate requisite hours and experiences to graduate, gain licensure, and practice as professionals in social work, counseling, education, advanced-practice nursing, and other professions. Jessica manages the teams that place these students in their communities so they can complete their required field experiences and serve the communities where they live. This function at 2U is the largest of its kind, with a high-level of infrastructure to support placements across the country. Jessica holds a bachelor’s degree from Rutgers University, a Master of Arts from Teachers College, Columbia University, and a Master of Business Administration from Syracuse University’s Martin J. Whitman School of Management. She has served as President of the Board of Trustees of Targum Publishing Company, which publishes The Daily Targum at Rutgers University, the independent, student-run, second-oldest college daily newspaper in the United States. Jessica also previously worked as a high school social studies teacher and independent educational consultant. Jessica has served on several non-profit boards and co-founded 3GNJ, an educational organization for New Jersey grandchildren of Holocaust survivors that preserves the legacies and lessons of genocide and hate. Jessica enjoys running, reading, and traveling in her spare time. Anthony “Tony” Bibbo was Executive Director of Newton Community Service Centers, a multi-service social service agency, from 1962-2005. Tony continued to be involved in numerous nonprofit and municipal endeavors, including serving as a member of the Newton Youth Commission, as Logistical Chairman of Newton’s Mayor’s Community Prayer Breakfast, a member of the Foundation for Racial, Ethnic, & Religious Harmony. Tony received more than twenty awards for his volunteer service within Newton and beyond. At the age of 84, Anthony passed away peacefully on August 29, 2018 with his loving family by his side. He was the beloved husband of the late Barbara F. Bibbo. Richard L. Edwards, is a well-known scholar, educator and administrator in social work education and professional practice. On August 1, 2005, he assumed the position of dean of the School of Social Work at Rutgers, The State University of New Jersey. On July 1, 2011 he was appointed as the interim vice president for academic affairs. In June 2014, he was named Chancellor of Rutgers–New Brunswick. In a career spanning 40 years, Edwards has held deanships at Case Western Reserve University’s Mandel School of Applied Social Sciences and the School of Social Work at the University of North Carolina at Chapel Hill, where he served as Interim Provost and where he most recently had been Alumni Distinguished Professor of Social Work. He is a past president of the National Association of Social Workers. He has written extensively and consulted widely on issues related to social work education and nonprofit and public management. As an administrator, Edwards has been an effective advocate and innovative leader for his institutions. Under his leadership at the University of North Carolina at Chapel Hill from 1992 to 2000, new doctoral and certificate programs were developed at the School of Social Work, while external funding for research, training and technical assistance increased dramatically. Under his leadership at Rutgers over the past four years, Edwards led the development of a new Institute for Families and four new academic centers. As a scholar, Edwards has studied the management and organizational effectiveness of public-sector and nonprofit organizations. 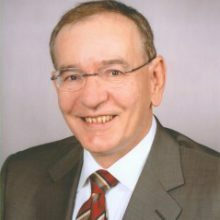 He has been a visiting professor at Babes-Bolyai University in Cluj-Napoca, Romania, and Memorial University in Newfoundland, Canada, and served as a consultant for the Soros Foundation’s Open Society Institute on the development of gerontology education for professionals in 18 central and eastern European countries. In 2008, Edwards spent several weeks at Ben Gurion University in Israel as a Fulbright Senior Specialist. Edwards is the author of numerous articles and book chapters and served as editor-in-chief of the 19th edition of the Encyclopedia of Social Work, published in 1996. He serves on the editorial boards of several professional journals and served for several years as associate editor for North America for Social Work Education: The International Journal. Edwards has been honored as a distinguished alumnus by the School of Social Service Administration at the University of Chicago, where he received his master’s degree, and the Rockefeller College of Public Affairs and Policy at the State University of New York at Albany, where he earned his doctorate. He holds a bachelor’s degree from Augustana College in Illinois. The Rutgers School of Social Work, headquartered in New Brunswick, is one of the largest social work educational programs in the U.S., with approximately 1400 students. The School also serves students from the university’s campuses in Camden and Newark. It offers undergraduate and graduate degrees in social work and dual degree programs in conjunction with the law schools in Newark and Camden and with the Princeton Theological Seminary, along with several certificate programs. Mr. Katz is the President/CEO of the National Human Services Assembly in Washington, DC. Irv Katz is president of the National Human Services Assembly and president of Civic Sector Strategies. He recently shifted to consulting after a career that included terms as president of the National Human Services Assembly and National Assembly Business Services, group vice president for community impact at United Way of America, president of United Way of Central Indiana, executive director of the Community Service Council of Metropolitan Indianapolis, and executive director of the historic Concord Center in Indianapolis. Katz has a bachelor’s in English and a master’s in social work from Indiana University and has participated in executive education programs under the auspices of the University of Chicago School of Service Administration and the School of Business at Harvard University. 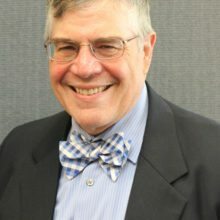 Katz is considered a leader in human services and the nonprofit sector, with honors including the Sagamore of the Wabash conferred by the Governor of the State of Indiana and has been recognized for several successive years as one of the Nonprofit Power & Influence 50 by the NonProfit Times. 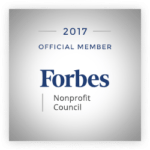 Katz is cited as a resource on nonprofit and human service matters by the nonprofit and general press and contributes to the Huffington Post Impact Blog. 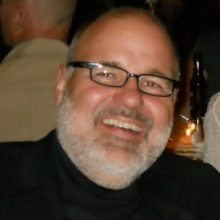 Mr. Reeder, MSW is Divisional Social Services Director for The Salvation Army in Wisconsin and Upper Michigan. the U.S. A peer review team leader for the Council on Accreditation, Mr.
as a Board Member for the Network for Social Work Management. Ms. Rosenberg is the President and CEO of the National Council for Community Behavioral Healthcare in Washington, DC. Linda Rosenberg is a national leader in the development, design, and delivery of mental health and substance use policy and services. Under her leadership, the National Council for Behavioral Health spearheads advocacy, practice improvement, and public education initiatives for 750,000 staff in more than 2,000 healthcare organizations that serve 8 million adults, children, and families with mental and addiction disorders. She helped secure passage of the federal mental health and addiction parity law and played a critical role in ensuring that the Affordable Care Act addresses the needs of individuals with behavioral health disorders. Her vision helped to expanded financing for integrated behavioral health and primary care services and built an array of organizational, clinical and workforce development initiatives. Rosenberg introduced Mental Health First Aid in the U.S. and has led the National Council in training approximately 150,000 citizens across the country. Prior to joining the National Council, Rosenberg served as Senior Deputy Commissioner of the New York State Office of Mental Health. She is a certified social worker, family therapist, and psychiatric rehabilitation practitioner with more than 30 years of experience. Mr. Waldman is a Lecturer and Executive in Residence at Rutgers University School of Social Work in New Brunswick, NJ. 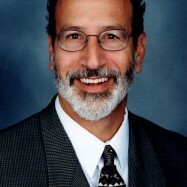 Mr. Waldman has served as a Visiting Professor and Lecturer and Executive in Residence at the Rutgers University School of Social Work since January, 2001. From July 1998 to December, 2000 he was the Executive Director of the American Public Human Services Association (APHSA) in Washington, DC. APHSA is a non-profit organization whose members include the health and human service agencies in the 50 states, as well as many agencies in counties, municipalities and US territories. Its purpose is to develop, promote and assist its members in the implementation of sound public human services policies. Mr. Waldman was employed by the State of New Jersey from July 1987 to June 1998 during which time he served as a Director of the Division of Youth and Family Services – the state’s child welfare agency, as Deputy Commissioner of the New Jersey Department of Human Services and as Commissioner of the Department and a member of the cabinet for three Governors of New Jersey. The Department of Human Services is the largest public agency in New Jersey and his responsibilities included administering a $7 billion budget, managing a workforce of 19,000 employees and serving over one million residents of the state. The Department encompassed seven (7) operating divisions which included the Medicaid program, services to the mentally ill and developmentally disabled, the child welfare program, all public welfare programs as well as services to the blind and visually impaired and the deaf and hard of hearing. He also had responsibility for eighteen (18) institutions including psychiatric hospitals, developmental centers, children’s residential facilities and a residential program for the blind. From May of 1975 until July of 1987 Mr. Waldman directed the Middlesex County, New Jersey Department of Human Services. In this capacity he was responsible for the administration of numerous county- based human services programs, managed a staff of sixty-five (65) employees, and administered a budget in the amount of $8 million. Mr. Waldman was employed from October of 1965 to May of 1975 with the Essex County Welfare Board in Newark, New Jersey. He began as a caseworker and advanced through a series of progressively responsible supervisory and administrative positions including the administration of the County’s food stamp and employment and training programs. 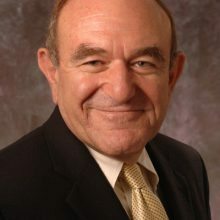 Mr. Waldman has been the recipient of numerous awards throughout his career, serves on various boards of directors of community agencies, has made numerous presentations at professional conferences, the New Jersey Legislature, the US Congress, foundations and business and industry groups; and, consulted for both government and private agencies.